Buying presents for your friends, loved ones and colleagues should be an enjoyable experi- ence. At Bojangles, Penarth, just walking through the door brings a smile. It’s jammed packed with loveliness so, not only can you pick up a gift for everyone on your list, you will thoroughly enjoy the experience too – that’s a win-win. Did you know that Bojangles will be two years old in January? It seems like this gorgeous, ever evolving, gift shop has been with us for longer. Best Dressed Window by Penarth Town Council. 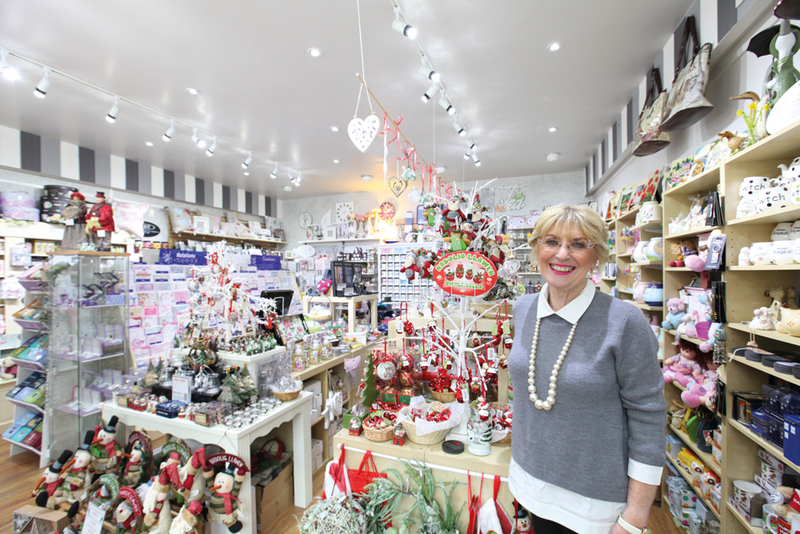 And rightly so – just looking at them takes you on a journey through Christmas; when you then walk through the door, you can see the fabulous Christmas gift shop, with exciting ideas to dress your tree and your home. There are decorations galore, in English and Welsh. Some of the baubles take your breath away. The amount of work invested in creating them is amazing. Don’t worry if you’re stuck for time or if you have last minute gifts to buy, Bojangles is open every Sunday from the 29th November right up until Christmas. If you have ever shopped in Bojangles, you will know that it offers great gifts at affordable prices, served by friendly, helpful staff – Christmas gifts done, all under one roof. All you need do now is wait for the gifts to be opened with lots of appreciative oohs and aahs!